Pentatonic scales are perhaps the most vocally natural scales that exist. They are the basis of many if not most folk singing traditions and can be extremely comfortable for even the most amateur of singers to latch onto. 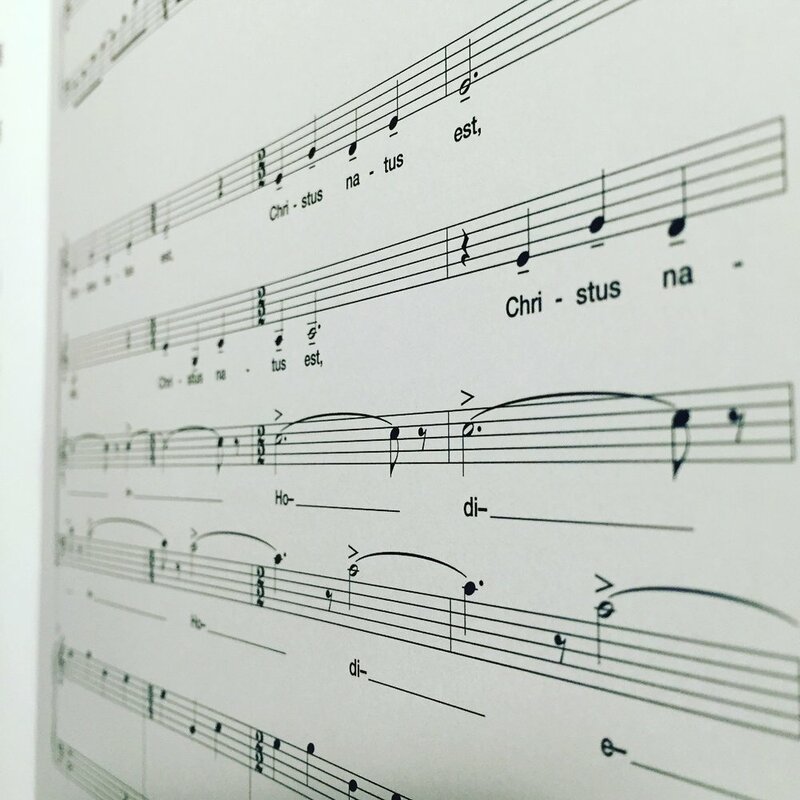 This piece uses simple pentatonic scales, made more complex by sustained into clusters and being stacked polytonally, combined with very syncopated rhythms to make a joyous sound that communicates the joy of Christmastime.